JMK sponsor Sports Person of the Year with a Disability category at the Belfast Telegraph Sports awards. 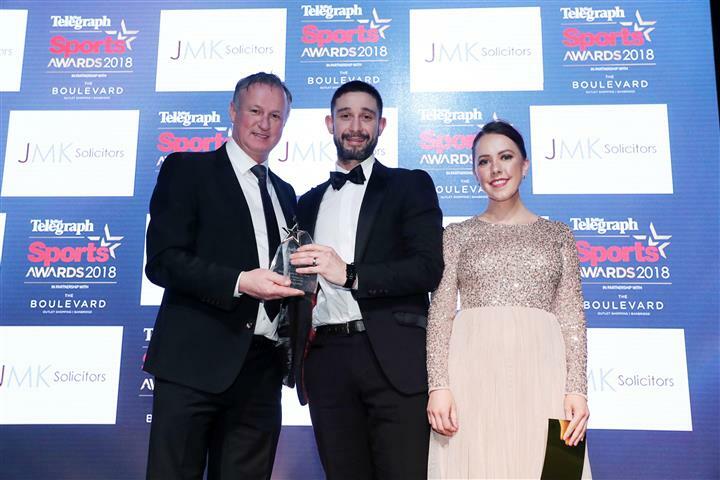 Senior Solicitor Una O’Neill, who was joined on stage by Northern Ireland Manager Michael O’Neill, to present the award to James MacSorley. James is a wheelchair basketball star who helped Great Britain win the World Championship, shocking USA in the final. The east Belfast man made his international debut in the tournament and played in five of GB’s seven games in Hamburg. Also nominated were Bethany Firth, Gareth McNeilly and Catherine Parke.